The number of Americans traveling to the Middle East to fight alongside Islamic State has dropped, but the terrorist group’s efforts to radicalize people online is getting a major boost from encryption technology, FBI Director James Comey said Wednesday. Since August, just one American a month has traveled or attempted to travel to the Middle East to join the group, compared with around six to 10 a month in the preceding year and a half, Mr. Comey told reporters in a round table meeting at FBI headquarters. However, federal authorities have their hands full trying to counter Islamic State’s social media appeal. 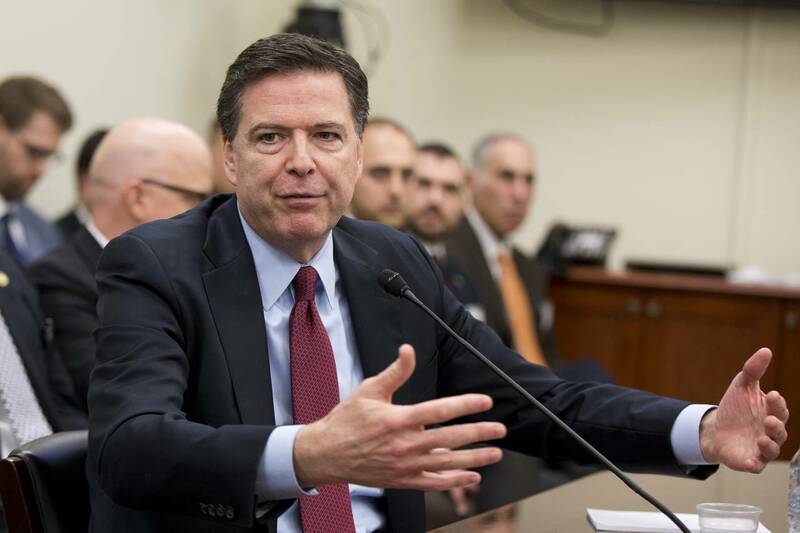 Of around 1,000 open FBI investigations into people who may have been radicalized across the U.S., about 80% are related to Islamic State, Mr. Comey said. The FBI director cited Facebook Inc.’s WhatsApp texting service, which last month launched end-to-end encryption in which only the sender and receiver are able to read the contents of messages. “WhatsApp has over a billion customers—overwhelmingly good people but in that billion customers are terrorists and criminals,” Mr. Comey said. He predicted an inevitable “collision” between law enforcement and technology companies offering such services. 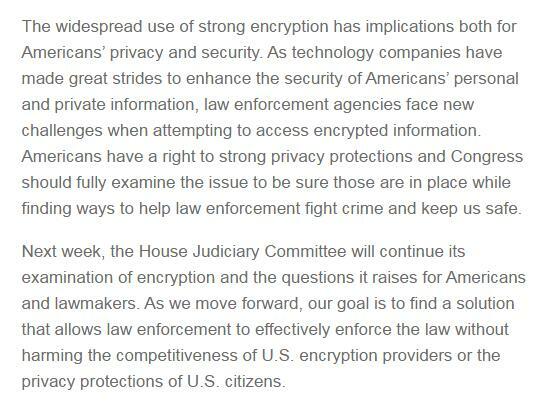 Silicon Valley leaders argue that stronger encryption is necessary to protect consumers from a variety of threats. “While we recognize the important work of law enforcement in keeping people safe, efforts to weaken encryption risk exposing people’s information to abuse from cybercriminals, hackers and rogue states,” WhatsApp CEO Jan Koum wrote last month in a blog post accompanying the rollout of the stronger encryption technology. The company Wednesday declined to comment on Mr. Comey’s remarks. The FBI also continues to face major challenges in unlocking phones used by criminals including terrorists, Mr. Comey said. Investigators have been unable to unlock around 500 of the 4,000 or so devices the FBI has examined in the first six month of this fiscal year, which began Oct. 1, he said. “I expect that number just to grow as the prevalence of the technology grows with newer models,” Mr. Comey added. 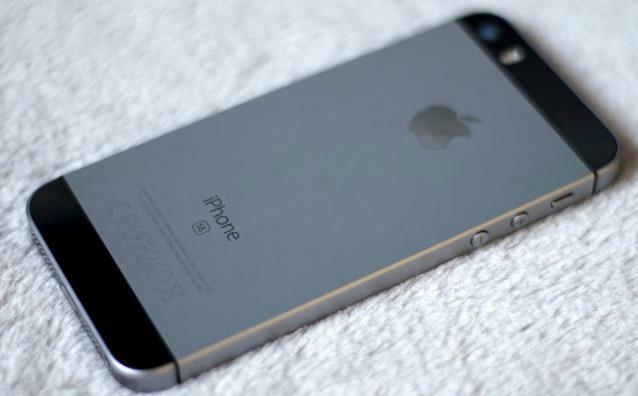 A terrorist’s locked iPhone recently sparked a high-stakes legal battle between the Justice Department and Apple Inc.
After Syed Rizwan Farook and his wife killed 14 people and wounded 22 in a December shooting rampage in San Bernardino, Calif., FBI agents couldn’t unlock the phone of Mr. Farook—who, along with his wife, was killed later that day in a shootout with police. The government tried to force Apple to write software to open the device, but the technology company resisted, saying that such an action could compromise the security of millions of other phones. That court case came to an abrupt end in March, when the FBI said it no longer needed Apple’s help because an unidentified third party had shown it a way to bypass the phone’s security features. IT managers know the movies get it wrong. A teenager with a laptop cannot crack multiple layers of encryption — unless that laptop is connected to a supercomputer somewhere and the teenager can afford to wait a few billion years. Encryption works. It works so well that even the government gets stymied, as demonstrated by the lengths to which the FBI went to access an iPhone used by one of the San Bernardino, Calif., shooters. So in the face of ever more damaging stories about data breaches, why aren’t all government agencies encrypting everything, everywhere, all the time? Encryption can be costly and time consuming. It can also be sabotaged by users and difficult to integrate with legacy applications. Furthermore, according to a recent 451 Research survey of senior security executives, government agencies seem to be fighting the previous war. Instead of protecting data from hackers who’ve already gotten in, they’re still focusing on keeping the bad guys out of their systems. Among U.S. government respondents, the top category for increased spending in the next 12 months was network defenses — at 53 percent. By comparison, spending for data-at-rest defenses such as encryption ranked dead last, with just 37 percent planning to increase their spending. Part of the reason for those figures is that government agencies overestimate the benefits of perimeter defenses. Sixty percent said network defenses were “very” effective, a higher percentage than any other category, while government respondents ranked data-at-rest defenses as less effective than respondents in any other category. There was a time when that attitude made sense. “Organizations used to say that they wouldn’t encrypt data in their data centers because they’re behind solid walls and require a [password] to get in,” said Steve Pate, chief architect at security firm HyTrust. That attitude, however, runs counter to the modern reality that there is no longer a perimeter to protect. Every organization uses third-party service providers, offers mobile access or connects to the web — or a combination of all three. A security audit at the Office of Personnel Management, for example, showed that use of multifactor authentication, such as the government’s own personal identity verification card readers, was not required for remote access to OPM applications. That made it easy for an attacker with a stolen login and password to bypass all perimeter defenses and directly log into the OPM systems. An over-reliance on perimeter defenses also means that government agencies pay less attention to where their important data is stored than they should. According to the 451 Research survey, government respondents were among those with the lowest confidence in the security of their sensitive data’s location. Although 50 percent of financial-sector respondents expressed confidence, only 37 percent of government respondents could say the same. In fact, only 16 percent of all respondents cited “lack of perceived need” as a barrier to adopting data security, but 31 percent — or almost twice as many — government respondents did so. Earlier this year, the Ponemon Institute released a report showing that 33 percent of government agencies use encryption extensively, compared to 41 percent of companies in general and far behind the financial sector at 56 percent. In that survey of more than 5,000 technology experts, 16 percent of agency respondents said they had no encryption strategy. On a positive note, the public sector has been making headway. Last year, for example, only 25 percent of government respondents to the Ponemon survey said they were using encryption extensively. “This is showing heightened interest in data protection,” said Peter Galvin, vice president of strategy at Thales e-Security, which sponsored the Ponemon report. High-profile data breaches have drawn public attention to the issue, he added. 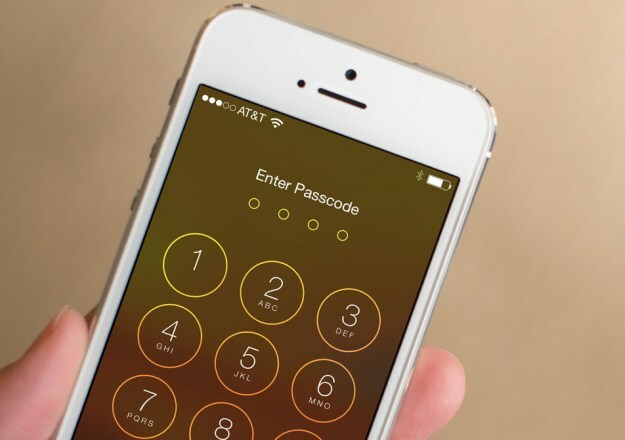 Do you know how many times a day you unlock your iPhone? Every time you do, you’re participating in Apple’s user-friendly encryption scheme. Friday, the company hosted a security “deep dive” at which it shared some interesting numbers about its security measures and philosophy as well as user habits. To be honest, we’re less concerned with how Apple’s standards work than the fact that they do and will continue to. But that’s kind of the point behind the whole system — Apple designed its encryption system so that we don’t even have to think about it. Apple’s encryption and security protocols have faced a ton of scrutiny during its recent showdown with the government. And if anything, that debate has gotten more people thinking seriously about how data can and should be secured. And the topic is not going away for a while. We weren’t there Friday, but Ben Bajarin from Techpinions offers some great analysis, and his piece includes some really cool stats. 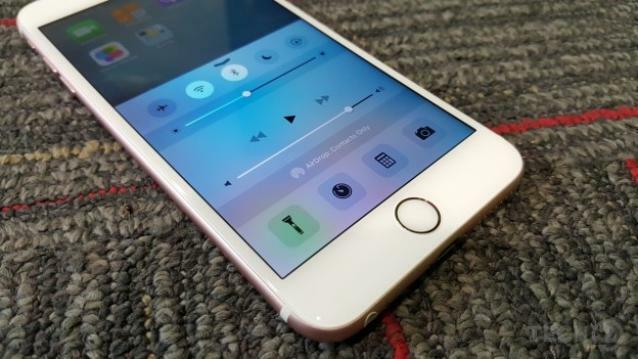 For one, Apple says that the average user unlocks their phone 80 times a day. We don’t know if that’s across all platforms or just iOS. It sounds a little low in my case, however, because I’m generally pretty fidgety. But because people are checking their phones so often, it’s important for Apple developers to make encryption powerful without causing the end user frustration. Like if they could just plunk their thumb down, and their phone would unlock, for example. 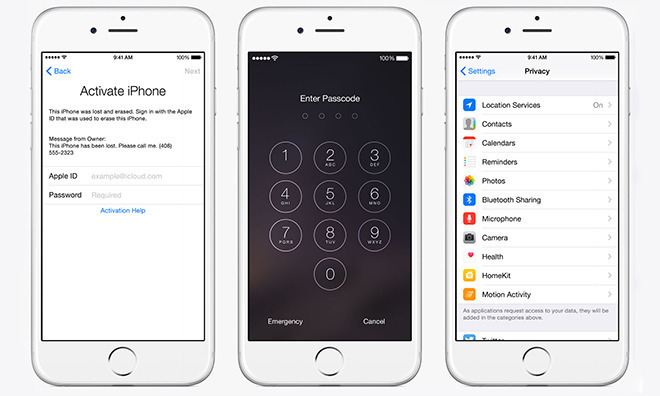 89 percent of people who own Touch ID-enabled devices use the feature, Apple says. And that’s a really impressive adoption rate, but it makes sense when you think about how much easier the biometric system is to use than a passcode. Passcodes are great, of course, and you have to have one. But as an experiment a while ago, I turned off Touch ID and went numbers-only to unlock my phone. And guess what? It was really annoying. I switched the feature back on by the end of the day. Apple also talked up its so-called Secure Enclave, which is its slightly intimidating name for the single co-processor that has handled all encryption for its devices since the iPhone 5s. Each Enclave has its own, unique ID that it uses to scramble up all of the other data for safekeeping. And neither Apple nor other parts of your phone know what that UID is; it all just happens on its own. And that’s pretty much how we prefer it. The Dutch government believes that confidence in secure communication and storage data is essential for the development of the Dutch economy. The Netherlands will not follow the trend of weakening encryption for security purposes, according to a statement by the Dutch Minister of Security and Justice. In contrast, with the United Kingdom where the Investigatory Powers Bill, will ban internet firms of holding client’s private communication information the Dutch government believes that strong encryption is key for the future growth of the Dutch economy. 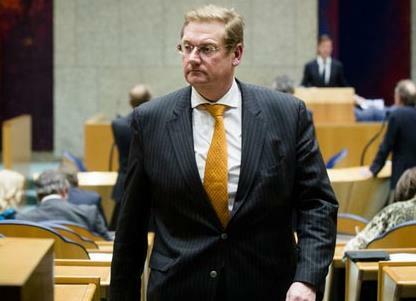 Daily Dot website reported that Ard van der Steur, the Dutch minister of security and justice, wrote in a statement that the Dutch executive cabinet endorsed “the importance of strong encryption for Internet security to support the protection of privacy for citizens, companies, the government, and the entire Dutch economy”. The Dutch Minister also explained that weakening encryption will not lead to a safer world, as criminal organizations will have easier access to sensitive private information. According to Daily Dot, the minister of security and justice described at length the virtues of encryption, from protecting laptops against theft to allowing the Dutch government itself to communicate online safely with its citizens about taxes and digital IDs. “Cryptography is key to security in the digital domain,” Van der Steur argued. Last week’s terrorist attack on Paris sounded a call to arms for hawkish U.S. officials seeking broad oversight of encrypted digital communications, some of whom used the opportunity to rekindle discussions with Silicon Valley technology companies. In an interview with MSNBC on Monday, Senator Diane Feinstein (D-Calif.) said Silicon Valley companies, particularly those marketing secure Internet messaging services, should help government agencies protect the homeland by allowing controlled access to encrypted data. “They have apps to communicate on that cannot be pierced even with a court order, so they have a kind of secret way of being able to conduct operations and operational planning,” Feinstein said of ISIS terrorists. She hammered the point home, reminding MSNBC’s Andrea Mitchell of recent video footage showing ISIS leaders giving potential sleeper cells the go ahead to carry out attacks on U.S. soil. Last month the Senate passed the controversial Cybersecurity Information Sharing Act, a bill that effectively allows companies to legally share customer data with the Department of Homeland Security and other government agencies. Feinstein is a co-sponsor of the bill. 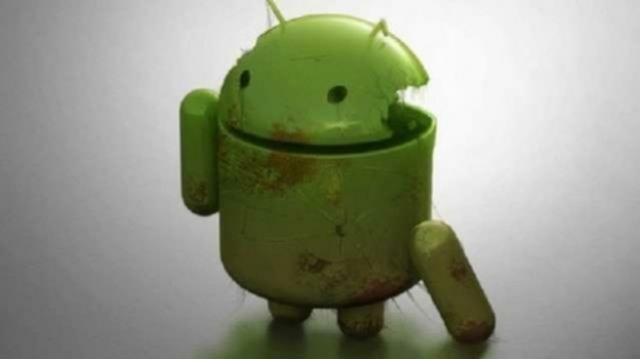 As iOS and Android dominate modern mobile communications, Apple and Google have been singled out as part of the problem for providing end-to-end encryption messaging services. For example, strong encryption in iOS 8 and above makes it virtually impossible to eavesdrop on iMessage conversations or gain physical device access, even with appropriate warrants. Bloomberg reports other top-ranking U.S. officials, including CIA Director John Brennan, made similar comments, but fell short of asking that new laws be enacted. “There are a lot of technological capabilities that are available right now that make it exceptionally difficult — both technically as well as legally — for intelligence security services to have insight that they need,” Brennan said today at an event in Washington, D.C.
For its part, Apple has been a vocal advocate of consumer privacy and pushed back against CISA alongside other tech companies in October. CEO Tim Cook has repeatedly warned of the detrimental effects a back door policy would have not only on individual users, but the tech industry as a whole. Critics to Apple’s position argue CISA lets providers share data while still maintaining privacy, a proverbial win-win situation for everyone involved. Americans could find themselves putting to those claims to the test sooner rather than later, as the bill is headed to the House of Representatives and, if passed, to President Obama for ratification. If you want to keep your information away from hackers and snoops, whether it’s your Internet use, email, hard drive data or your backup, the best thing you can do is use encryption. Encryption scrambles your data and, in theory, the only way to unscramble it is to know the password. That’s why choosing a strong password no one can guess is important. This is also what makes a ransomware virus that encrypts your files so dangerous. Without paying for the decryption password, you can’t get your files back. Learn three steps you can take to beat ransomware. Unfortunately for your security, encryption isn’t always a secure as you’d hope. 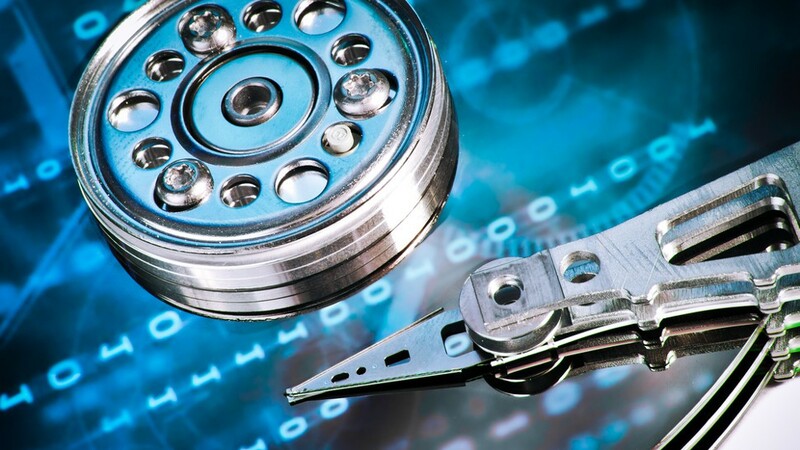 Without going into too much technical detail, there are a lot of ways that encryption can happen, from the method it uses to encrypt the data to how many bits it uses. For example, you’ll see 128-bit AES and 256-bit AES show up a lot in programs and Web encryption. There’s SHA-1 and SHA-2 from the NSA. For your router, you’ll see options like WEP, WPA TKIP, WPA2 AES and more. That’s why you don’t see much 64-bit AES anymore, why using WEP on your router is the same has having no encryption, and why large organizations are moving from SHA-1 to SHA-2 encryption. Of course, this is way more than the average person should have to think about. You should be able to trust that every company is using the best encryption possible in the products you buy and use. Unfortunately, that often isn’t the case, and we just got a fresh reminder.